Have you polished your CV until it shines? Your CV is amongst the most useful weapons you have in your career armoury. Even well into the 21st Century, with video bios, social media profiling and sophisticated automated recruitment processes, the good old fashioned CV remains a critical early window onto your professional self. Recruiters still scour CVs and hiring mangers still rely on them for that essential distillation of what makes you great, and why you should be considered for interview – or not. Many interviewers even kick off proceedings with the classic “Walk me through your CV” opening line. I’ve looked at hundreds of CVs over the decades, and can tell instantly whether one has been crafted with care, or thrown together in a rush. And like it or not me (and thousands of other hiring managers like me) have extrapolated from a messy CV into a messy candidate, and filed it straight into recycling. It stands to reason then, that serious candidates should take their CVs seriously. I took the opportunity this week to review my own CV. I hadn’t looked at it for a few months, but I suspected (knew) it wasn’t as good as it could be. After all, I’m helping others craft powerful and effective CVs, so I should practice what I preach. After five hours of editing, reformatting, aligning, rejigging and otherwise fiddling, I’m finally happy (at least for now). I’m confident that my CV would make any prospective hiring manager (who needed my skills) sit up and take notice. Are you confident that your CV does that? Ask yourself this question: If you lost your job tomorrow (god forbid), is your CV fit for purpose and good to go? Does it do a fine job of showcasing your greatest qualities and skills? Imagine if you had to sell your car tomorrow. Would you get more money for it as is (a bit dirty, a couple of scratches, door pockets full of receipts, boot caked in mud), or after a loving valet, bodywork polished until it shines? The answer is obvious. And so it goes with your CV. If you had to apply for jobs tomorrow, would you get more interviews with your CV as is, or after a loving update, content and format polished until it shines? If you suspect the answer is no, put aside a few hours over the next week or so and get polishing! Even if you expect there will be no need to deploy your CV ‘into the field’ anytime soon, the mere act of getting it ready is a positive experience. You get to remind yourself of all the great things you have achieved and all the reasons you bring value to an employer. In a world where we too often get very little thanks for our contribution, the exercise provides a nice shot in the arm! Is your CV visually appealing? Is the layout neat, text properly justified, with occasional use of bold and colour? Bland is deadly – your CV’s design and layout needs to stand out from the very first glance. Does it start with a powerful executive summary? This should be a box of bullet points and punchy text, crammed full of keywords showcasing your greatest qualities and career highlights? Have you included hyperlinks, to either online content you have created, or your LinkedIn profile? CVs are sent electronically and links can be clicked, so make sure you includes some. Do your achievements in each role stand out? Companies like to hire people who get things done and move the needle. Plenty of achievements suggests you can land and have an impact. Is there anything unusual or unique which would help you stand out from the crowd? I call these “CV traps” – information designed specifically to get a reader curious and wanting to know more. Are there lots of numbers and hard facts to substantiate your achievements? “Grew sales by 230% to $72million over three years” is much more effective than “delivered impressive sales growth”. Is your CV the right length? As a simple rule of thumb, one page per decade of experience makes sense (I’m in my 3rd decade of work so mine has three pages). Do all your employment dates match properly? Are you sure? I’ve seen overlapping dates at different companies before! Are all your contact details accurate? Stale email addresses or phone numbers don’t help. And finally – is it free of typos? There is nothing more irritating to a CV reader than spelling errors – they are sloppy and inexcusable. That’s a long and pretty exhaustive list. It should take hours, rather than minutes, to create a CV that genuinely ticks all of these boxes. Like a top quality car valet, it’s all about getting the details right. 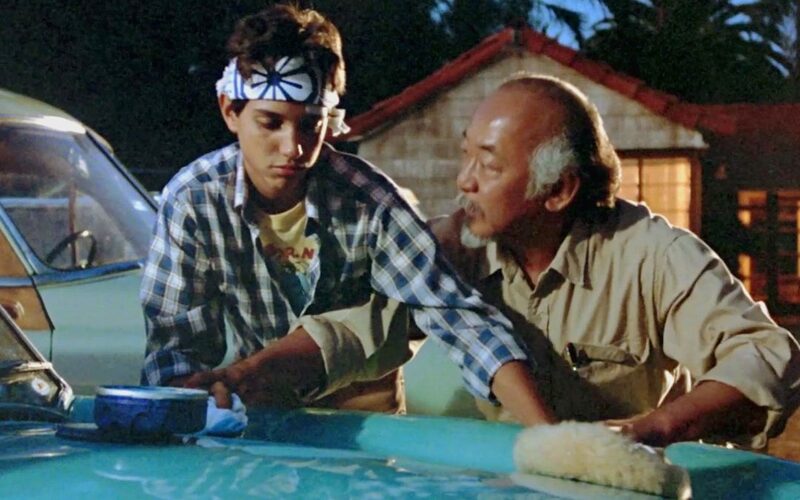 As Mr Miyagi said, “Wax on, wax off”! Polish it until it shines. The end product should be something that looks carefully crafted and lands some big punches early on, getting the reader excited that you could be THE ONE! And if you’re still struggling to get your CV to sparkle after a few hours of attention, get in touch with me – I’d be happy to send you mine to help you along the way.